Canadian-poker.ca reports that Full Tilt Poker, which was involved in the April 15 online poker shutdown in the U.S., has just had its license to operate suspended by the Alderney Gambling Control Commission (AGCC). “Take 888 Poker for example; it’s remained online and reliably in operation while other sites struggle with lawsuits and regulators. In fact, 888 Poker is winning back the hearts of Canadian poker players who were swept away to other poker rooms, but who are now realizing it’s best to stick to a strong company.” Leon also remarked that 888 is now offering players in Canada special bonuses for “returning home” from other poker sites. Party Poker is another example of an operation that has remained reputable and reliable throughout this period of online poker turmoil, and is an option for players looking to play at an established institution. Party Poker recently merged with Bwin Poker and players can enjoy both brands under the same protection of a strong, publicly traded company. Despite Leon’s concern, Canadian-poker.ca is convinced there is no reason for Canadian players to be concerned over the latest Full Tilt news. Companies like 888 Poker, Party Poker, and Bwin continue to operate as usual, and online poker in Canada is as strong as ever. Montreal – Ubisoft announced that it will bring the critically acclaimed Might & Magic Clash of Heroes to the Playstation® Network (PSN) from Sony and Xbox LIVE Arcade (XBLA) from Microsoft. Developed by Capybara Games, the creators of Might & Magic Clash of Heroes for the Nintendo DS ™ system, Might and Magic Clash of Heroes XBLA/PSN will give players the opportunity to enjoy the remarkable gameplay now in high definition (HD). Might and Magic Clash of Heroes XBLA/PSN will take advantage of the next-gen console’s capabilities to increase its visual appeal and enrich the multiplayer experience. With a unique mix of RPG and an exceptional puzzle battle system. 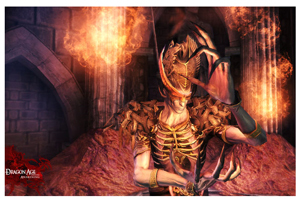 This upcoming release will give Might & Magic fans something to look forward to this Summer 2010. * Multiplayer mode for 2-4 players local and online. Edmonton – Bioware has released information about new Dragon Age Origins: Awakening baddie The Architect – the first darkspawn to develop a will of his own and an unusual outcast who seems not to be subject to the call of the Old Gods, nor to the other darkspawn compulsions. Even though he is highly intelligent, the Architect has little understanding of humanity, and treating him as anything other than the darkspawn that he is would probably be detrimental to your character’s health. Awakening will be unleashed on the gaming public this coming Tuesday. Calgary – iPhoneDevCamp 2 (YYC), produced by Robots and Pencils Inc., is taking place this weekend at Calgary Technologies Inc. The 1 day barcamp style un-conference starts at 9am and is open to people wanting to learn more about iPhone Apps development, marketing, business models and funding. * Jon Lam of the iPhoenix Fund 1 and BigStack Studios Inc.
* Michael Sikorsky of Robots and Pencils Inc.
* Michael Loh of iKingdom Corp.
* Stephen Gazzard of Broken Kings Inc.
* Trevor Doerksen of MoboVivo Inc.